Posted on April 7, 2018 by Captain Bligh! Members of DRACO’s Phantom Dragons / Pink Phantoms crew were honored to participate in Lutheran Medical Center’s BCS Pink Hat Tea again this year, an annual event for the benefit of newly diagnosed and long-term breast cancer survivors. 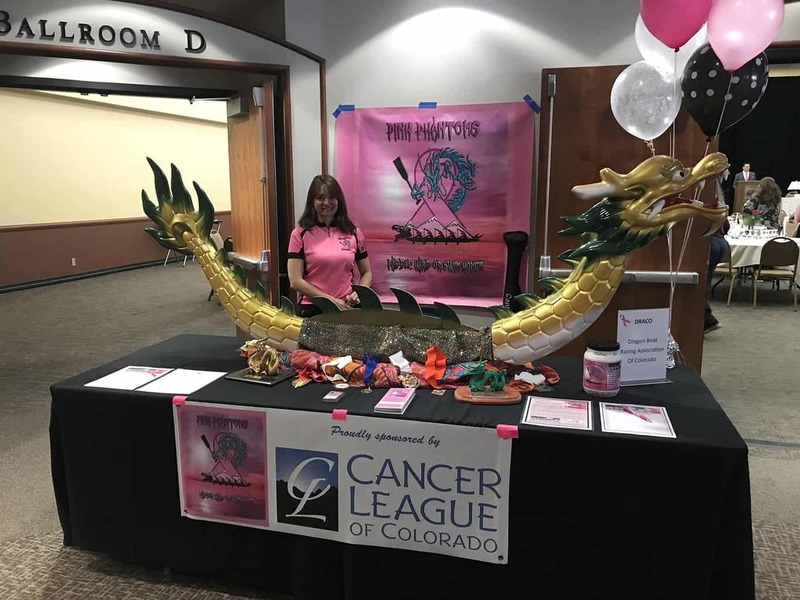 It was a wonderful opportunity to gain visibility and support for our breast cancer survivor dragon boat program, and we again connected with a number of prospective BCS paddlers! This entry was posted in BCS Program, Dragon Boat News, General Information, Pink Phantoms and tagged BCS, boat, breast, cancer, competition, DRACO, dragon, Dragon Boat, Dragonboat Racing Association of Colorado, LMC, Lutheran Medical Center, pink, Pink Hat Tea, Pink Phantoms, race, survivor by Captain Bligh!. Bookmark the permalink.